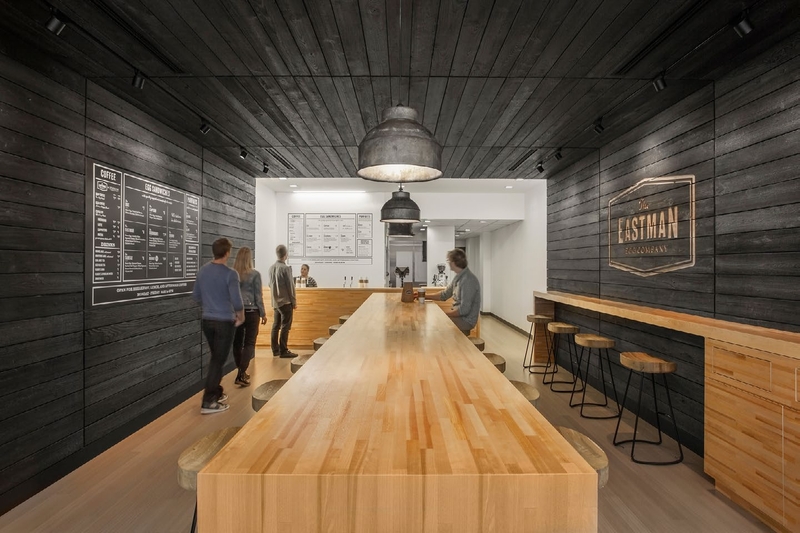 The Interiors jury was especially taken with the Eastman Egg Company. Designed by Woodhouse Tinucci Architects who took the EEC from their original post in a popular food truck to their first permanent home in Chicago’s West Loop neighborhood, the small space uses detailing to communicate quality, handcrafted products. Charred cypress boards contrast with brightly-lit ordering stations, both moving customers through the space and adding charming features with a vintage feel. 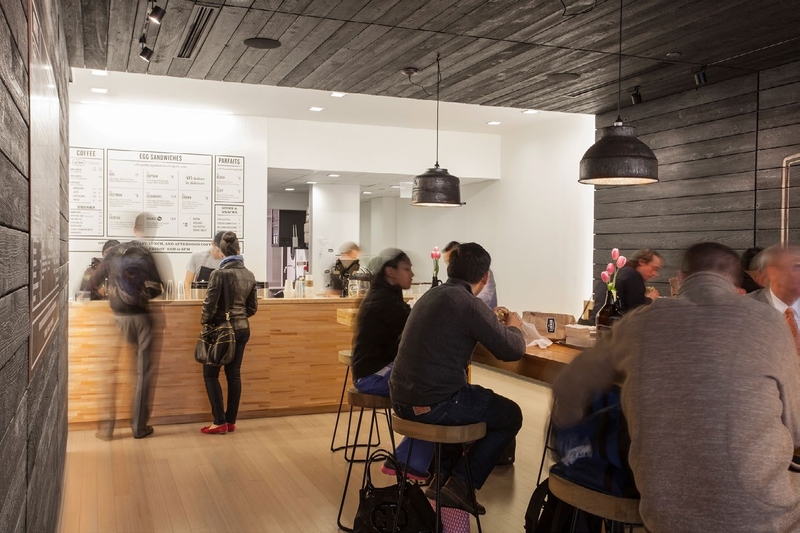 “They considered how the customer moves from the entrance to the ordering stations, and how they could direct that flow more logically without abandoning the restaurant concept,” one juror commented. Though the space is small, Woodhouse Tinucci was able to provide a flexible space that changes with the crowd and ambiance throughout the day. A long, custom oak butcher block table runs from one end of the shop to the other, behaving as a “no-nonsense” guiding tool to move people in and out of the space. The table can then be subdivided into several stations and pivot 90 degrees to accommodate a reduced crowd and more relaxed atmosphere. Ultimately, the design is simple and the finish is in the details. “Restraint is the key here,” one juror said. “To show this type of restraint shows a commitment to concept.” “The firm was faced with a difficult problem, and they came up with a simple, elegant solution,” added another.